Are you a learning harp player? Would you like to VOLUNTEER yourself as a student on a Teacher Training Course? All standards, ages and abilities (including absolute beginners) to participate. You would receive exceptionally reasonably priced teaching, and enjoy a vibrant and positive learning environment at what might be a dull time of year – with harps provided! Are you an Irish harp teacher? Are you seeking to explore Oral Music Teaching? Do you need to perfect your leadership skills and build your confidence with group training, session and ensemble training and performance skills? Are you considering to teach Irish harp? If ‘yes’ to any of the questions above, this course is for you! One of Ireland’s most experienced and successful teachers in producing the leading harp players of today – not only as concert and competition performers, but also as corporate musicians, wedding and ceremonial professionals, harp therapists, teachers and ensemble directors. Teaching skills from beginner to advanced levels – starting in 3 streams: Toddlers (age 7-11); Teens (age 12 – 18) and Adults (age 19-90) – all leading to the ‘Arts of Harping’ that embraces all the styles and variety in Irish harping today – including ‘traditional dance and session playing’, song and harp, improvisation for recitation (story music), sacred and ceremonial (spiritual and religious), therapeutic (community, health and well-being), romantic Ireland (background music), the historic, Carolan and planxty tradition. Catering for all these aspects in a comprehensive oral/aural approach, Janet prepares teachers for an all-embracing and rewarding experience… There is pre-course reading and materials on application. If you have a harp, bring it and if you don’t, we’ll provide one for you - so you will enjoy a week of enrichment and musical immersion in a social, fun, friendly and productive atmosphere. No preparation needed! Bring your partners / friends / spouses for a great experience. They will join all trips out and afternoon activities. – or take a trip out. Each day, you will have options…. On the 3rd or 4th afternoon, there is a break for a bigger trip out to a local place of interest. Accommodation is in Private and Semi-private single and twin rooms (with single rooms sharing a bathroom with one other room (ladies with ladies, mem with men only)). Very reasonably priced multy-bedded rooms also available. 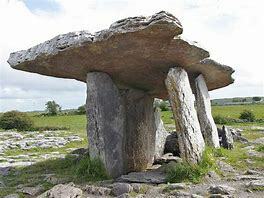 Based in the Boghill Centre in the heart of the Burren this is ‘a place apart’. 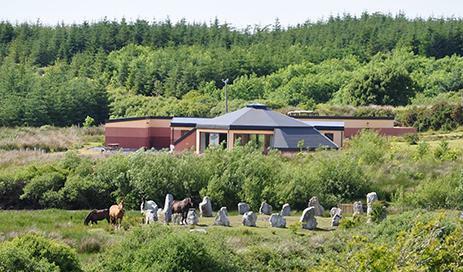 Equidistant between the villages of Ballyvaughan, Kilfenora and Doolin, the Boghill is a renowned eco-centre – the food is vegetarian and organic (mostly from their own market garden) – and nature and wilderness are on your doorstep. Fly to Dublin and bus directly to Galway where we will arrange to pick you up! Harps provided.